). Thiel will donate $1.25 million to Donald Trump's US Presidential campaign - some through Super PACs and the rest directly. This is Thiel's first donation to Trump but the latter will be hoping this isn't the last. We all know that Trump needs the money more than his Democratic rival for President Hillary Clinton. Trump is the leader when it comes to donations under $200, but the big donors is what elevates Clinton. Mr. Thiel founded PayPal in December of 1998 and the was the first outsider to invest in Facebook. Thiel's also a major shareholder in software company Xero. According to the New York Times, his net worth is estimated to be around $2.7 billion. News broke earlier this year that Thiel was funding Hulk Hogan's lawsuit against Gawker. Gawker had identified Thiel as gay nine years ago and this was his way of getting revenge. Hogan won the lawsuit and Univision, the new owners of Gawker, shut the website down in August. Trump and Silicon Valley have had far from a rosy relationship so far and this is much needed. "The candidate and Silicon Valley began on a bad note, with Mr. Trump lashing out at Amazon, Apple and other large companies. His position on immigration is the opposite of the tech industry's, and he has shown little interest in other issues important to entrepreneurs. A meeting this month between tech industry advisers and Trump advisers was largely considered a bust," writes David Streitfeld in the New York Times. 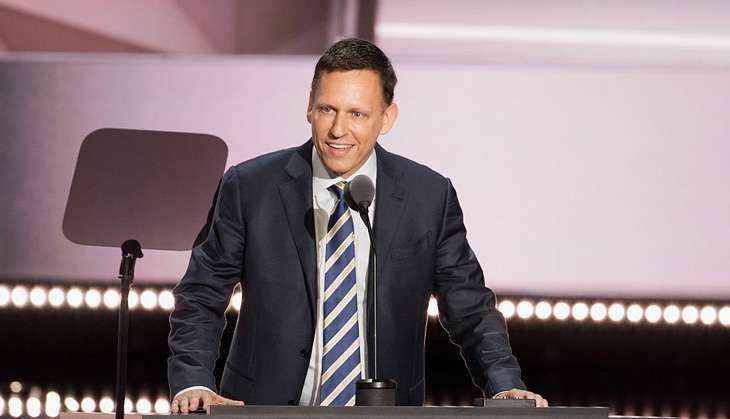 Thiel is the only billionaire in Silicon Valley to support the Republican nominee. Thiel will be joining a select list of millionaire donations to the Trump campaign. Robert Mercer of Renaissance Technologies, has donated $15.5 million along with his daughter. Los Angeles developer Geoffrey Palmer has donated about $2 million. According to Guardian, Thiel is "hawkish on immigration" and this is in line with Trump's policies. Thiel is an immigrant himself, born in West Germany, and this is what makes it all the more surprising.Whatever the reason for the donation, one thing is for sure. The Trump campaign desperately needs this. With the this being the final stretch of the US elections, every last dollar counts.